Hard hitting, aggressive, in your face, this track is all of that and more. 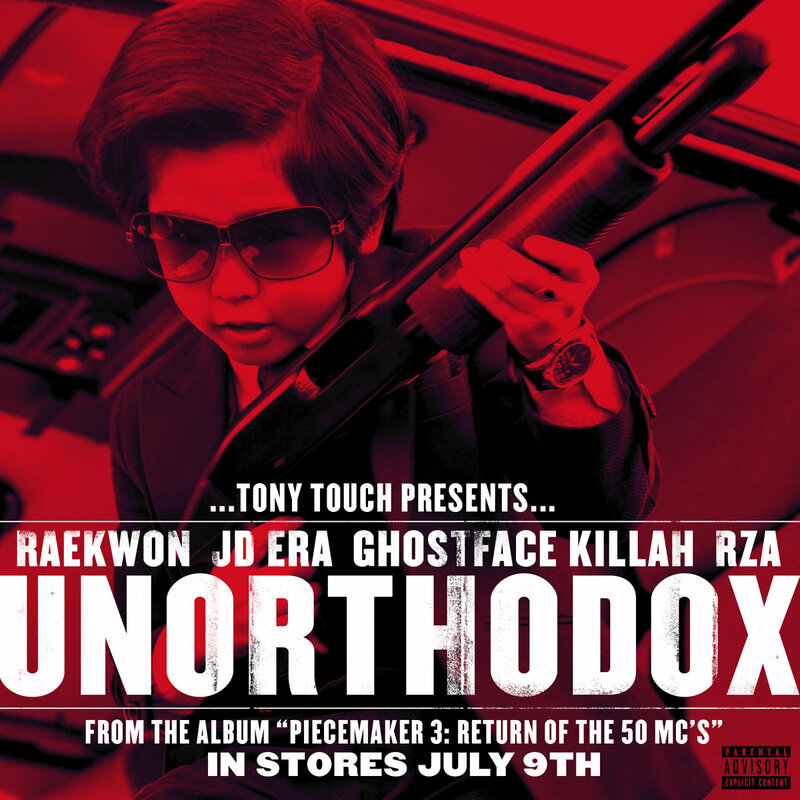 With an all-star line up, we have Tony Touch featuring Raekwon, JD Era, Ghostface Killah and Rza for "Unorthodox." This is a cut off Tony's The Piece Maker 3... Return of the 50 MCs, which is in stores July 9t. Also, check out the amazing cover art above and listen to the record below.